Idiopathic pulmonary fibrosis (IPF) is a type of chronic lung disease that causes progressively worsening dyspnea (shortness of breath). People with IPF may also experience a dry and persistent cough, progressive fatigue, or unexplained weight loss—and often, early death. IPF is an uncommon disease, but it is not considered rare. About 15,000 people are estimated to die from IPF each year in the United States. It affects men more often than women, smokers more often than non-smokers, and usually people over 50 years of age. The cause of IPF has not been completely worked out (“idiopathic” means “of unknown cause”), and there is no cure for it. However, a tremendous amount of research is being done to understand this condition, and to develop effective treatments for IPF. The prognosis for people with IPF has already improved substantially in just the last few years. Several new approaches for treating IPF are being developed, and some are already in clinical trials. It it too early to say for sure that a breakthrough in treatment is right around the corner, but there is a lot more reason for optimism than there was just a short time ago. IPF is caused by abnormal fibrosis (scarring) of the lung tissue. In IPF, the delicate cells of the alveoli (air sacs) are gradually replaced by thick, fibrotic cells that are unable to perform gas exchange. As a result, the chief function of the lungs—exchanging gasses, allowing oxygen from the air to enter the bloodstream, and carbon dioxide to leave the bloodstream—is disrupted. The gradually worsening ability to get enough oxygen into the bloodstream is what causes most of the symptoms of IPF. For many years, the working theory about the cause of IPF was one based on inflammation. That is, it was thought that something caused inflammation of the lung tissue, leading to excessive scarring. So early forms of treatment for IPF were aimed largely at preventing or slowing the inflammatory process. Such treatments have included steroids, methotrexate, and cyclosporine. For the most part, these treatments were only minimally effective (if at all), and carried significant side effects. In explaining the cause of IPF, researchers today have largely turned their attention away from a theoretical inflammatory triggering process, and toward what is now believed to be a process of abnormal healing of lung tissue in people with this condition. That is, the primary problem causing IPF may not be excessive tissue damage at all, but abnormal healing from (possibly even normal) tissue damage. With this abnormal healing, excessive fibrosis occurs, leading to permanent lung damage. 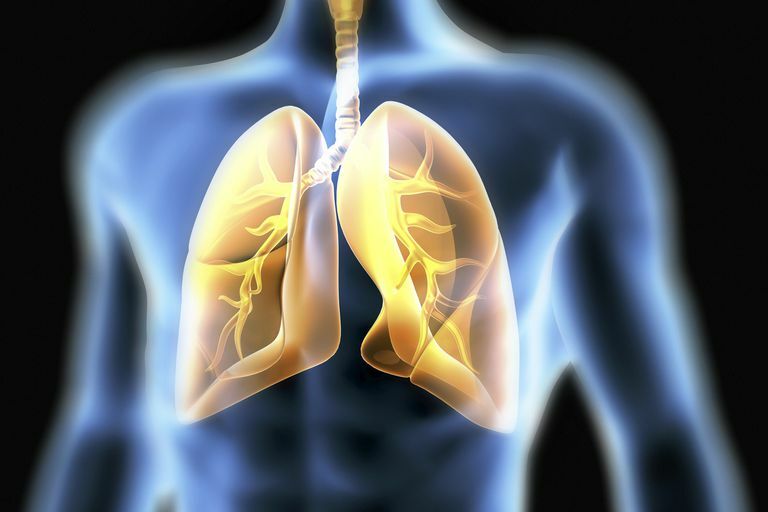 The normal healing of lung tissue turns out to be an amazingly complex process, involving the interaction of various types of cells and numerous growth factors, cytokines and other molecules. The excessive fibrosis in IPF is now thought to be related to an imbalance between these various factors during the healing process. In fact, several specific cytokines and growth factors have been identified that are thought to play important roles in stimulating excessive pulmonary fibrosis. These molecules are now the targets of extensive research, and several drugs are being developed and tested in the attempt to restore a more normal healing process in people with IPF. So far, this research has led to a few successes and several failures—but the successes have been very encouraging, and even the failures have advanced our knowledge about IPF. In 2014, the FDA approved two new drugs for the treatment of IPF, nintendanib (Ofev) and pirfenidone (Esbriet). These drugs work by blocking receptors for tyrosine kinases, molecules that control various growth factors for fibrosis. Both drugs have been shown to significantly slow the progression of IPF. In addition, it has now been recognized that many people with IPF (up to 90 percent) have gastroesphageal reflux disease (GERD) which may be so minimal that they do not notice it. However, chronic “microreflux” may be a factor that triggers minor damage in the lung tissue—and in people who have an abnormal lung healing process, excessive fibrosis may result. Small randomized trials have suggested that people with IPF who are treated for GERD may experience significantly slower progression of their IPF. While larger and longer-term clinical trials are needed, some experts believe that “routine” treatment for GERD is already a good idea in people who have IPF. It is known that many people who develop IPF have a genetic predisposition to this condition. Active research is being done to compare genetic markers in normal lung tissue to genetic markers in the lung tissue of people who have IPF. Several genetic differences in the IPF tissues have already been identified. These genetic markers are providing researchers with specific targets for drug development in the treatment of IPF. In a few years, drugs specifically “tailored” to treat IPF are likely to reach the clinical trial stage. Imatinib: Imatinib is another tyrosine kinase inhibitor, similar to nintendanib. FG-3019: This drug is a monoclonal antibody aimed at connective tissue growth factor, and is designed to limit fibrosis. Thalidomide: This drug has been shown to reduce lung fibrosis in animal models, and is being tested in patients with IPF. Researchers at the University of Alabama have described a new technique in which they assemble “pulmospheres”—tiny spheres made of tissue from a lung of a person with IPF—and expose the pulmospheres to the anti-IPF drugs nintendanib and pirfenidone. From this testing, they believe they can determine ahead of time whether the patient is likely to respond favorably to either or both of these drugs. If the early experience with pulmospheres is confirmed with further testing, this eventually may become available as a standard method for pre-testing various drug regimens in people with IPF. IPF is a very serious lung condition, and it can be a devastating to get this diagnosis. In fact, a person with IPF who does a Google search on this condition is likely to come away extremely depressed. However, in just the last few years a tremendous amount of progress has been made in treating IPF. Two effective new drugs have already been approved for its treatment, several new agents are being tested in clinical trials, and targeted research promises to yield new treatment options soon. If you or a loved one with IPF is interested in being considered for a clinical trial with one of the new drugs, information on ongoing clinical trials can be found at clinicaltrials.gov. Hershcovici T, Jha LK, Johnson T, et al. Systematic review: the relationship between interstitial lung diseases and gastro-oesophageal reflux disease. Aliment Pharmacol Ther 2011; 34:1295. Raghu G, Rochwerg B, Zhang Y, et al. An Official ATS/ERS/JRS/ALAT Clinical Practice Guideline: Treatment of Idiopathic Pulmonary Fibrosis. An Update of the 2011 Clinical Practice Guideline. Am J Respir Crit Care Med 2015; 192:e3. Surolia R, Li FJ, Wang Z, et al. 3D Pulmospheres Serve As A Personalized and Predictive Multicellular Model for Assessment of Antifibrotic Drugs. JCI Insight 2017.; 2(2): e91377. Xu Y, Mizuno T, Sridharan A, et al. Single-cell RNA Sequencing Identifies Diverse Roles of Eitheiial Cells in Idiopathic Pulmonary Fibrosis. JCI Insight. 2017; 1(20): e 90558.